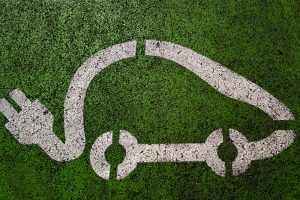 London’s first ‘environmentally-friendly’ parking tariff is being introduced with discounted rates offered to drivers of electric and hybrid vehicles as an incentive to boost sustainable travel in the capital. The City of London Corporation is launching its scheme on Monday (Aug 20th) for on-street parking within the Square Mile commercial and financial district. Drivers will use an app which automatically assesses their vehicle emissions before paying for parking. Drivers of petrol vehicles registered after 2005 and diesel vehicles registered since 2015 will pay an additional £1.20 per hour. Older vehicles will face charges of £6.80 compared with the low emission vehicle rate of £4. Corporation planning and transport committee chairman, Chris Hayward, said the tariff would result in better air quality within the Square Mile. The new tariffs will operate between 8am and 7pm on weekdays and be collected through software firm RingGo’s cashless payment app. Using an Emissions Based Parking product, RingGo will automatically assess the type of vehicle being parked and charge tariffs based on its fuel type and registration date. The Corporation has also installed 30 EV chargers across the Barbican estate and has banned the purchase of diesel vehicles from its own fleet of 300 vehicles, opting instead to invest in hybrid and electric alternatives. The moves form part of the Corporation’s outline for a Low Emission Neighbourhood (LEN), jointly funded by the Mayor of London. Plans for LEN include new electric vehicle (EV) charging infrastructure, green taxi ranks and air quality projects in the Barbican and Golden Lane Estate areas.